The Draft CLAMs Constitution - enumerating foundational principles. Learn about the unique “Proof-Of-Chain” CLAMs distribution. A guide to importing and claiming distribution CLAMs. The CLAM network is secured by its users; but, what does this mean? Discover how and why the CLAM protocol intimately integrates free and protected speech. A few ideas on earning CLAMs the old fashioned way: work! A selection of CLAM community resources where you can use your CLAMs. CLAM development is open source and community driven. 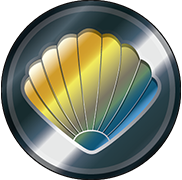 Connect and chat with members of the CLAM community.